Here we are. 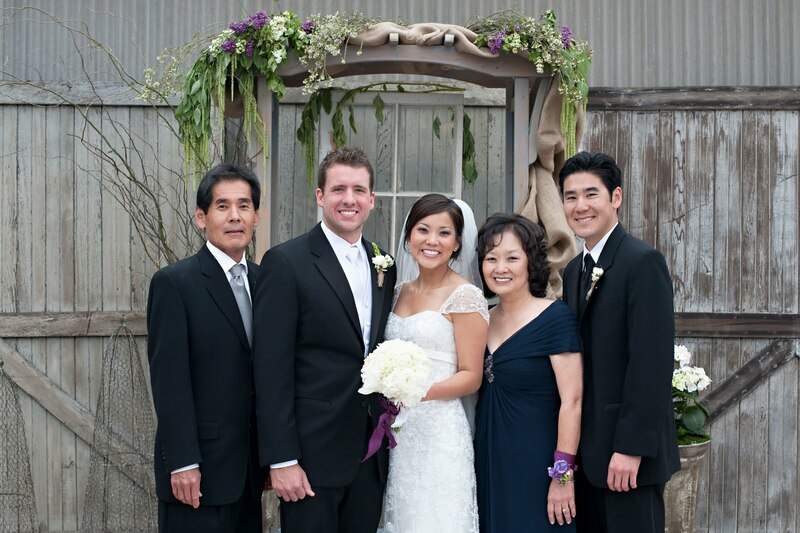 The Fujimotos. As of April of 2010, two-fifths of us are also Spearrins. 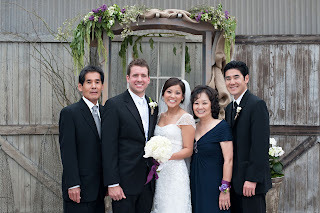 Our son-in-law Mitchell gave me this blog for Christmas 2010 and came up with the name FOODjimoto. We all like to cook. And we all like to eat. When we aren't cooking or eating, we're usually found talking about what we're going to cook or eat next. My daughter, Karen, and I (Karolyn) will be your hostesses as we provide an inside look into our kitchens, where we love trying new recipes, making family-favorites and making things up as we go. We'll be posting dishes that reflect our American, Japanese-American and Southern Californian roots. I'm sure we'll be adding dishes from The South, reflecting Mitchell's roots, as well. My son Rick has dishes he is willing to blog as well. So join us as we invite you into our kitchens, where the magic happens and we turn regular ingredients into delicious meals prepared with love. Won't you stay for dinner? I'm in! Any time you want someone to try your recipes just think of me. I'm a good eater, I promise! ditto Susan! I'm a Fujimoto so that automatically makes me a 'good eater' (not to be confused with a 'good cook':). Looking forward to the culinary adventures of Karolyn and Karen! Bon Apetit!! !